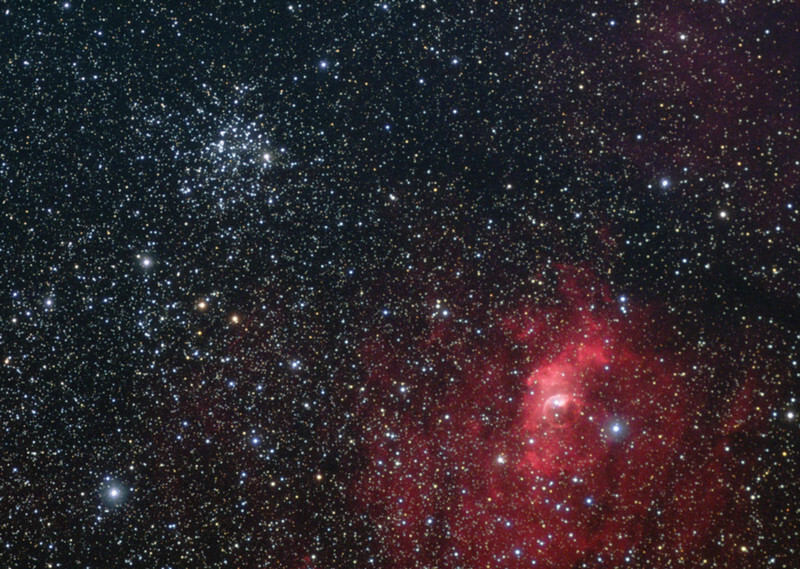 This field has a nice compact open cluster near a well known nebula. Taken from Doughton Park, NC. Park. Exposure: Ha: 14 x 10 minutes, RGB: 8:8:10 x 3 minutes each. RGB binned 2x2.